Those who profess Christianity as the worldwide religion and yet justify the operation of a color line disprove and discredit their pretension. If Christianity is to be a biological religion, it cannot be universal. The ideal of Christianity is that all of its devotees, regardless of ethnic deviation, are baptised in one spirit. Spiritual kinship transcends all other relations among men. Unless Christianity can overcome the color line, the universality of its claim will be discredited, and the world must still repeat the query propounded by the rugged teacher of righteousness to his august relative and rival. Kelly Miller, "The Mulatto in the United States. by Edward Byron Reuter-Review by: Kelly Miller," American Journal of Sociology, Volume 25, Number 2 (Sep., 1919). 224. Her work is all that, and much more. Her books are deeply involved in issues of science, technology, gender, and attend both to deep history and to the contemporary. They are concerned with our minds and bodies, but even more particularly with our spirit, and with our commitment to the future. I spoke with Ruth Ozeki at Stanford in 2013 and then corresponded with her during the book tour that followed, and am delighted that My Year of Meats was selected as one of the three books all incoming frosh will read at Stanford this autumn. Now in its 11th year, the texts for this year’s Three Books program address the theme of “Science”: Physics for Future Presidents by Richard Muller, My Year of Meats by Ruth Ozeki, and Radioactive: Marie & Pierre Curie: A Tale of Love and Fallout by Lauren Redniss. I cannot think of a better humanistic author to feature for this series. …Even in My Year of Meats, my first novel, I was playing with fictionalized autobiography. One of the narrators of that book, Jane, is a mixed-race documentary filmmaker who lives in New York. I, too, am a mixed-race documentary filmmaker who lived in New York. I knew readers would assume that Jane equaled Ruth, so I made Jane six feet tall and dyed her hair green, so readers could tell us apart. The Loving Day Project is pleased to announce the launch of Loving Day ON CAMPUS… a resource guide and forum to help students across the country connect, share, and inspire…Students have celebrated this important civil rights milestone in a variety of ways…We want every student and organization to have the best events possible, so we have created the Loving Day ON CAMPUS facebook page. In America, race and skin color are some of the most critiqued and analyzed issues within our society. For some people, growing up of mixed race decent can either be a detriment or a blessing. It can separate you from the rest of society or educate you to aspects of society that (for most people of a monoracial background) would go unlearned. People who are of mixed race decent is considered to be the fastest growing populous in the United States with a 32 percent increase as of 2010 on the U.S Census, according a CNN report. Although asking someone “What are you”, or “Where does your family come from,” is not lost in the consciousness of American conversation. The acceptance of persons who are of mixed race decent and those who identify as bi-racial or mixed, is on the rise. To be of a multiracial background, a person has to be categorized as having the racial makeup of two or more ethnic groups. In a world where checking one box on a job application or census report is all that is offered, some people are caught between choosing one race over the other, not only on paper, but in some cases, all together within society. …According to Andrew Jolivétte, Associate Professor and Chair of the American Indian Studies Department of San Francisco State University, more and more individuals are identifying themselves as multiracial due to an overall sociological acceptance and shift in perception…. This course looks at literature and film depicting interracial sexuality and mixed race identities in the post-Civil Rights era. Course materials depict individuals and communities that trouble and challenge conventional ideas about racial categorization and the boundaries between groups. 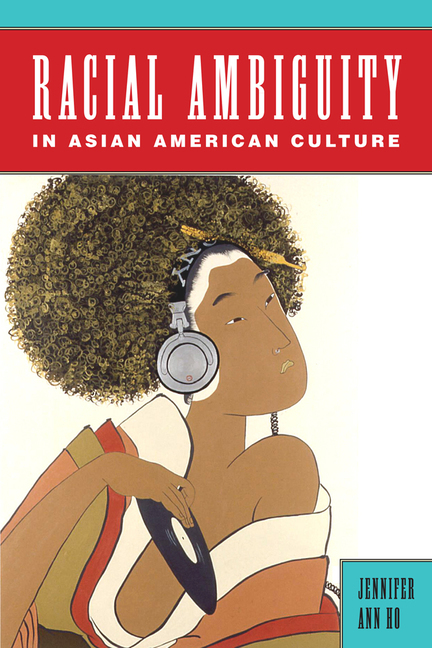 Texts represent a wide variety of ethnic and cultural perspectives. Books include Caucasia (Danzy Senna), A Feather on the Breath of God (Sigrid Nunez), Drown (Junot Diaz) and My Year of Meats (Ruth L. Ozeki). Movies include Diva (Jean-Jacques Beineix), Jungle Fever (Spike Lee) and The Wedding Banquet (Winston Chao). Globally, the number of multiracial people is exploding. In 10 US states, the percentage of multiracial residents who are of school age—between 5 and 17—is at least 25 percent. In California alone, it is estimated that 15 percent of all births are multiracial or multiethnic. Despite these numbers, mixed-race people have long struggled for a distinct place on the identity map. It was only as recently as 2000 that the U.S. Census Bureau began to allow citizens to check off as many racial categories as are applicable-White, African American, Asian, Hispanic, Native Hawaiian, American Indian, and Alaska Native. Previously, Americans were allowed to check off only one, leaving multiracial people invisible and unaccounted for. 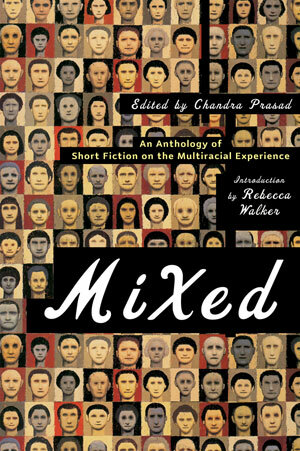 Though multiracialism has recently become a popular aspect of many memoirs and novels, Mixed is the first of its kind: a fiction anthology with racial overlap as its compass. With original pieces by both established and emerging writers, Mixed explores the complexities of identity that come with being a multiracial person. Every story, crafted by authors who are themselves mixed-race, broaches multiracialism through character or theme. With contributors such as Cristina Garcia, Danzy Senna, Ruth Ozeki, Mat Johnson, Wayde Compton, Diana Abu-Jaber, Emily Raboteau, Mary Yukari Waters, and Peter Ho Davies, and an illuminating introduction by Rebecca Walker, Mixed gives narrative voice to the multiple identities of the rising generation.